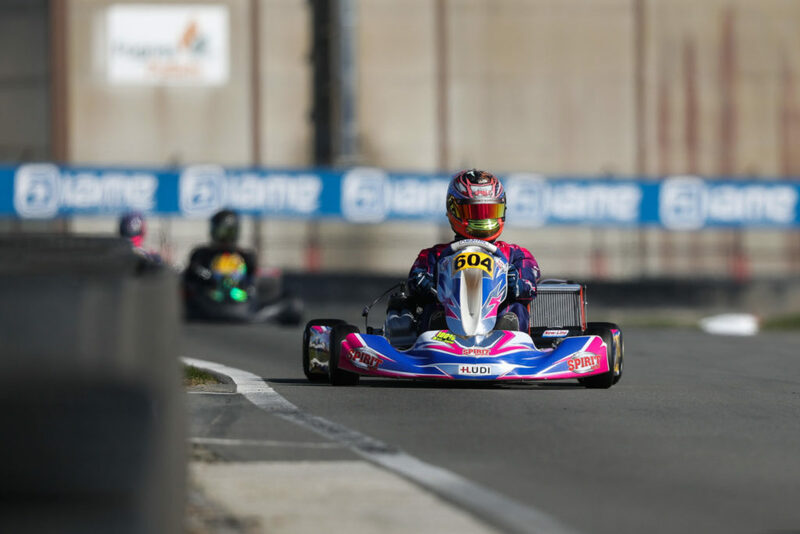 The 2019 IAME X30 Euro Series has officially started this Friday in Belgium as the 172 drivers entering the opening round of the series hosted by RGMMC have hit the “Karting des Fagnes” of Mariembourg for the Qualifying Sessions. 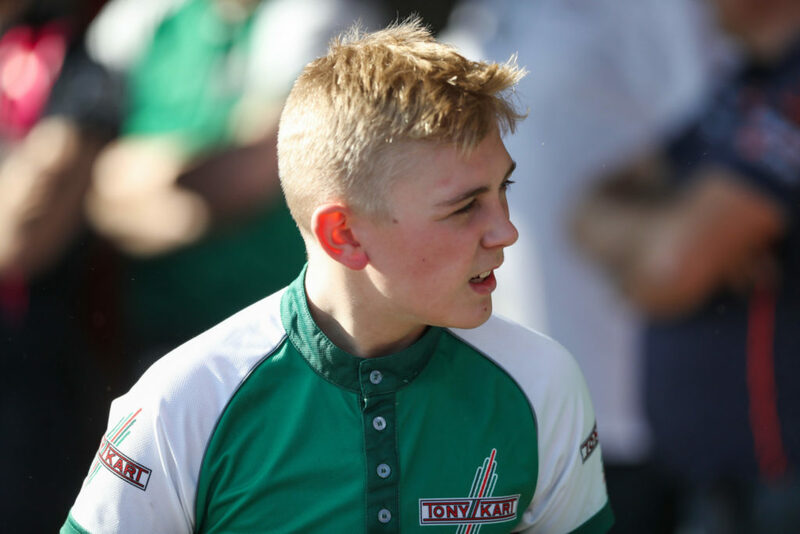 At the end of the day, each of the four classes was topped by one driver, Freddie Slater in Mini, Wigot Edqvist in Junior, Rimmo Kadapik in Senior and Kevin Lüdi in Shifter, all heading for the Qualifying Heats on Saturday where a shake-up of the early hierarchy can always be expected. 927,Slater Freddie(GBR),Fusion(KART-REPUBLIC/IAME/KOMET), Mariembourg, 31 March 2019. IAME Euro Series, © 2019, Alexandros Vernardis / The RaceBox. IAME Winter Cup winner Freddie Slater (Fusion) grabbed the Pole position in the Mini category by putting a lap of 1:02.621 around the 1366 meters of the Mariembourg circuit. By his side on the front row will be Spanish driver Guillermo Delgado Martinez-Aci (Fusion Motorsport). The third starting spot will be occupied by Rene Lammers (PDB) alongside Pol Chaos Rivero (FA Racing Spain). With the fifth-fastest lap, the Dutchman Sacha Van’t Pad Bosch (PDB) will start from the third row besides Sebastiano Pavan (Team Driver Racing Kart) followed by his teammate Sebastian NG (Team Driver Racing Kart) and the rest of the top 10 completed by William Go (Fusion Motorsport), Leo Robinson (Fusion) and Edu Robinson (Fusion Motorsport). Click here for the full timesheet. 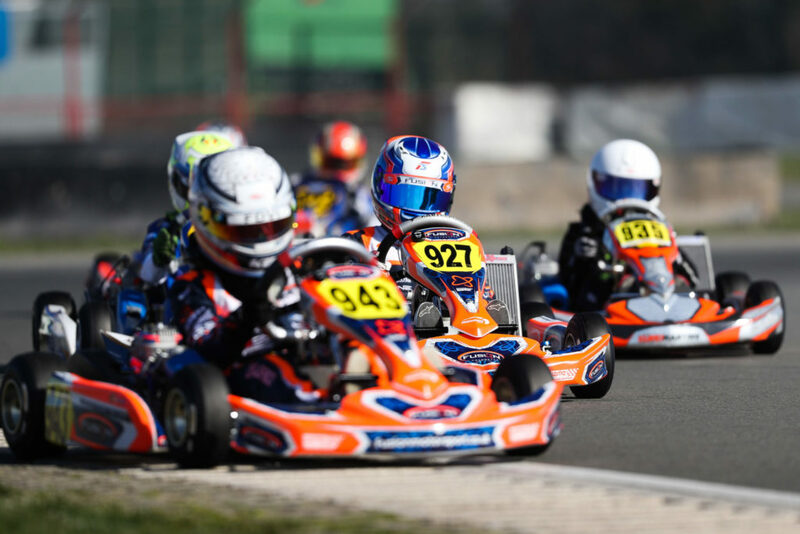 131,Edqvist Wigot(N/A),Strawberry Racing 1(OTKART/IAME/MG), Mariembourg, 31 March 2019. IAME Euro Series, © 2019, Alexandros Vernardis / The RaceBox. Wigot Edqvist (Strawberry Racing) emerged as the fastest out of the two Qualifyings series run in the Junior class where a strong British opposition almost sealed the entire top 10. The Swedish took the overall Pole in 57.054 seconds ahead of his two teammates from Strawberry Racing Josh Rowledge, who will start up front the Group B, and Aaron Walker, leader of the Group C. Fourth-fastest, Liam McNeilly (Evolution) will start ahead of the Group D. Joseph Taylor (Coles Racing) concluded his qualifying effort with the fifth overall lap time ahead of Marcus Luzio (Privateer), Zacharias Ripley (Evolution), Oliver Gray (Dan Holland Racing), Freddie Spindlow (KR-Sport) and Herolind Nuredini (Evolution). 339,Kadapik Rimmo(EST),Aix racing team(OTKART/IAME/MG), Mariembourg, 31 March 2019. IAME Euro Series, © 2019, Alexandros Vernardis / The RaceBox. With 79 drivers on its entry list, the Senior category had to run through three qualifying series to establish the starting order for each of the five Qualifying groups entering Saturday’s Heats. The Estonian Rimmo Kadapik (Aix Racing Team) set the early pace by completing a lap of the Mariembourg circuit in 55.822 seconds. Last year’s Euro Series Junior winner Lewis Gilbert (Persistence) was second-fastest overall (first in the Group B) ahead of Filip Vava (KR-Sport, leader of the Group C), Mariembourg’s 2018 Final winner Elie Goldstein (VDK, first in the Group D) and Joey Van Splunteren (Evolution, in front of the Group E). The second part of the top 10 saw Danny Keirle (BirelART Middle East) set the six-fastest performance ahead of Clayton Ravenscroft (KR Sport), Mari Boya (Monlau Competicion), 2018 Senior class winner Mark Kimber (Strawberry Racing) and Sean Butcher (Mick Barret Racing). 604,Ludi Kevin(CHE),Spirit-racing-ch(KOSMIC/IAME/MG), Mariembourg, 31 March 2019. IAME Euro Series, © 2019, Alexandros Vernardis / The RaceBox. For the last Qualifying session of the Friday afternoon, Kevin Lüdi (Spirit-Racing) put his skills to good use around the Karting des Fagnes layout. The Swiss driver clinched Pole position in the Shifter category with a lap time of 53.932 seconds. Dionisis Liveris (Daems Racing Team) will try to give him a hard time on the front row ahead of Philipp Seewer (Spirit-Racing) and reigning X30 Euro Series winner Thierry Delré (Delré Racing). Michel Biffiger (Spirit-Racing) will start each of the Qualifying Heats from fifth place ahead of Erik Hellemans (DFK) and Laurent Malice (Delré Racing Team). Click here to download the complete schedule of the event. The first Qualifying Heats will start this Saturday from 10:10 (local time). 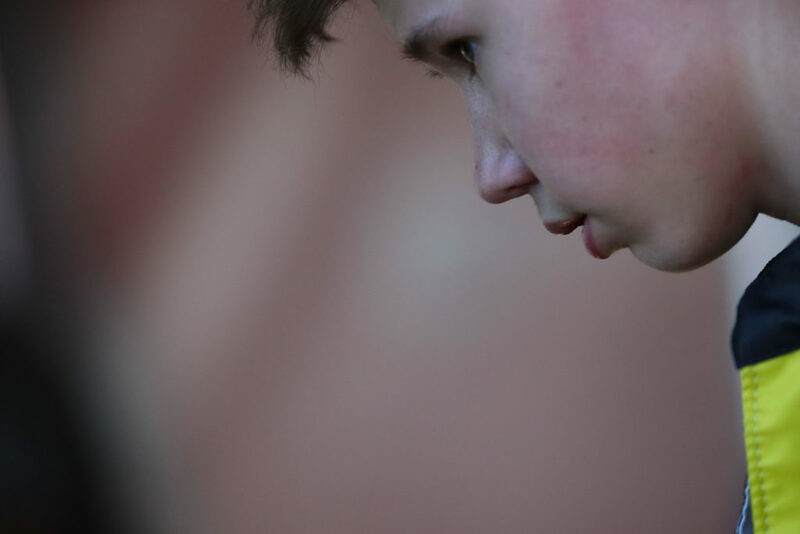 To help you follow this year’s first round of the IAME X30 Euro Series in Mariembourg, a special page is available on this website with Live Timing and Live Streaming (by Telemundi Media) plus our reports published every day to keep you up to date with the results.